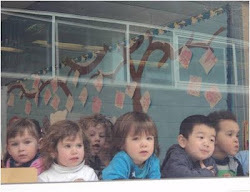 Unique to Akiba-Schechter is the opportunity to combine, in Judaic Studies, acquiring rigorous textual skills with multiple disciplines and avenues of interest. 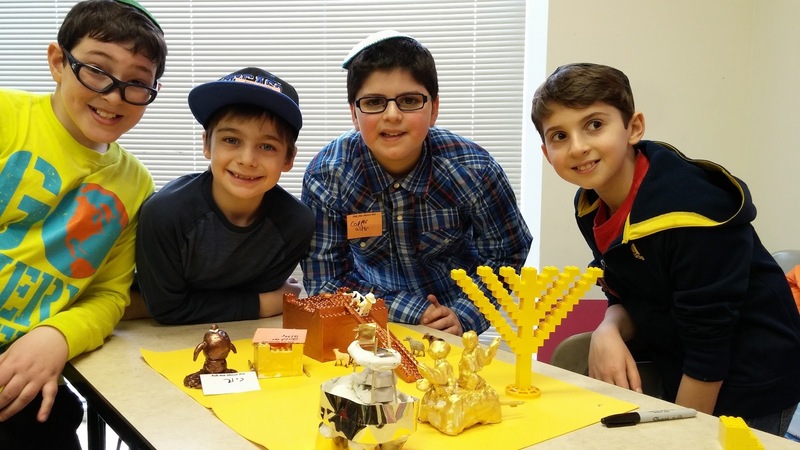 Throughout the primary grades, students learn how to read from the Torah in the original Hebrew and hone their thinking skills to read the text critically. In middle school, they apply these skills to cull life lessons and discuss Jewish values as they apply to real world situations. 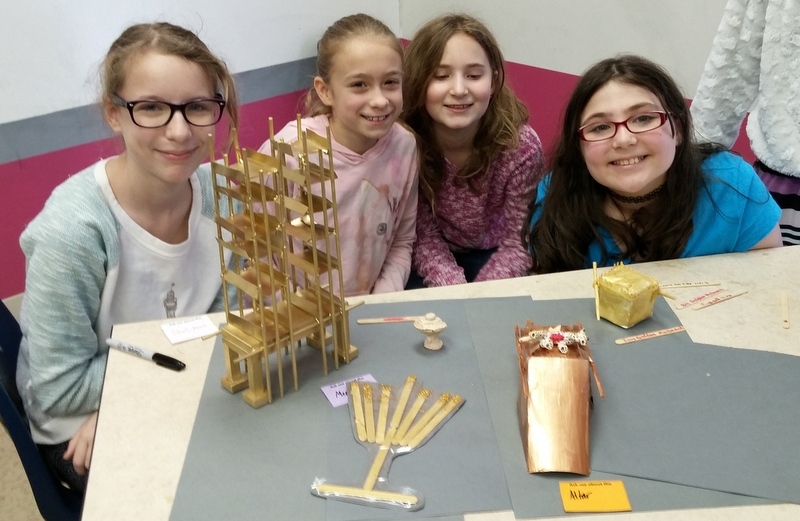 The 5th/6th Chumash (Bible) classes just wrapped up a unit on the Mishkan, the portable Temple the Jewish people built in the desert. As the 5th/6th graders read through the potentially dry, detailed biblical descriptions of how to construct the various objects in the Mishkan, they were challenged to ask, "Why would G-d spend so much ink on this information? What is He trying to teach us?" The next stage of the unit challenged students to use their creativity and work in teams to recreate the vessels described in the text. The students loved this opportunity, and they rose to the challenge, finding the right materials to do the job. 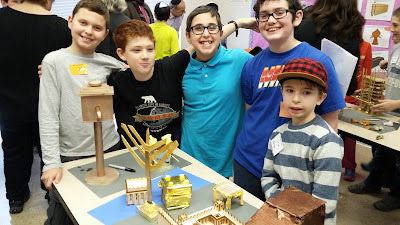 They presented their creations at a Mishkan Fair held for parents, teachers and students. Each group described the function and meaning of the vessels in their display. The three main objects in the Temple were the Menorah, symbolizing worldly knowledge (think of liberal arts), the Table, symbolizing sustenance and economic prosperity, and the Ark, symbolizing Torah knowledge. These three objects were placed in a triangular formation to represent their necessary interdependence. Featured here is the "Kiyor" (laver). It was used by the Kohanim (priests) to wash their hands and feet before performing services in the Temple each day. It was made out of copper and had faucets at the bottom. The copper was donated by the women who sacrificed their precious copper mirrors for this purpose. The water from the laver symbolizes purity and was also used in a ceremony promoting peace and harmony between husband and wife. This is the "Shulchan" (table). The shelves allowed it to hold twelve loaves of bread, which was eaten by the Kohanim on Shabbat. The Talmud relates that the bread was never stale or moldy. By the end of the unit, students had employed and developed skills related to reading and translating Hebrew text, questioning, analyzing, discussing, applying lessons to life situations, designing, collaborating, experimenting, building, and making an oral presentation. It was a wonderful and enriching experience, emanating from an ancient description of measurements in a "foreign" language.